Oliveti Cubicles have a considerable range of lockers ideal for use in all changing room environments. 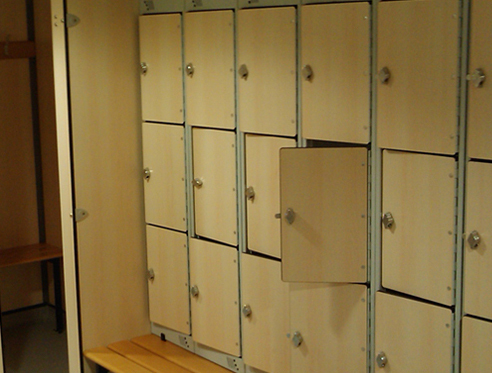 Our lockers come with a huge range of features & extras to choose from. For full details of our range of lockers, please contact our sales team who will be pleased to assist with your selection. Anti -finger trap : Lockers for schools & children have doors & hinges that are configured to avoid trapping fingers. 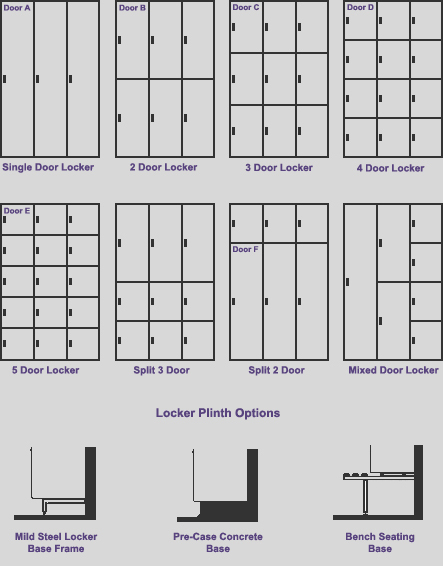 Lockers are available with key cam locks, hasp & staple, coin return, combination locks or electronic transponder locks. Various height and width combinations. Various configurations - 1,2, 3 or 4 doors. Matching end and infill panels are provided according to site requirements. Base, top and shelf units from the same material with 2mm PVC edge band­ ing to front edges. Full width hanging rails are provided in all compartments of 900mm or more high,captive coat hangers are available as an option. 19mm V313 MR MFC (moisture resistant melamine faced chipboard. 17mm V313 MR Chipboard faced with 0.9mm high pressure laminate (HPL). 19mm MDF faced with real wood veneers. 10mm or 13mm compact board (trespa athlon/ployrey). All edges radiused and polished matching end and infill panels are provided according to site requirement. Fixtures & fittings to complete the fit out. Towel drops and storage bins.